Anyway, here are some wordless images from the upcoming "Dark Angel Saga" in Uncanny X-Force #11. Well now, we all know about a certain Winged Mutant's relationship with a certain British Ninja Telepath Trapped in an Asian Body. 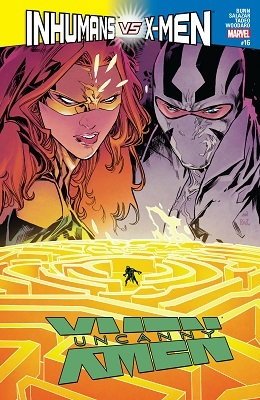 With that in mind, check out the cover for Uncanny X-Force #12.